Each of these collectibles comes designed with three photographs. 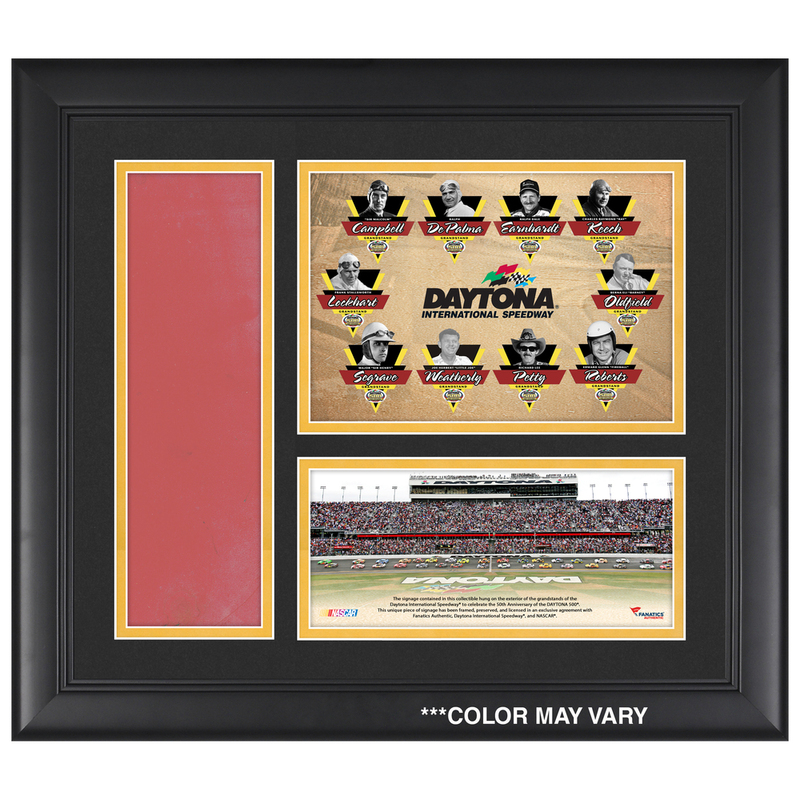 This collectible, features a piece of signage from Daytona International Speedway and has been obtained by Fanatics Authentic directly from Daytona International Speedway. The product is officially licensed by NASCAR and comes with a statement of authenticity. It is framed in brown wood and measures 20" x 24" x 1" and is ready to hang in any home or office.